Earlier this week, the PlayStaiton Blog shared a brand new 13-minute gameplay demonstration of the upcoming Secret of Mana remake. The video was released as part of their PlayStation Underground series where the staff sits and discuss different upcoming PlayStation titles. 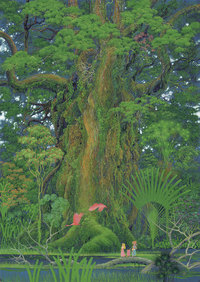 Secret of Mana will be released worldwide for the PlayStation 4, PlayStation Vita, and PC via Steam on February 15. Square Enix also recently announced there will be a physical edition of the game available in North America for the PlayStation 4. This has not yet been confirmed for Europe as of this article's publish date.